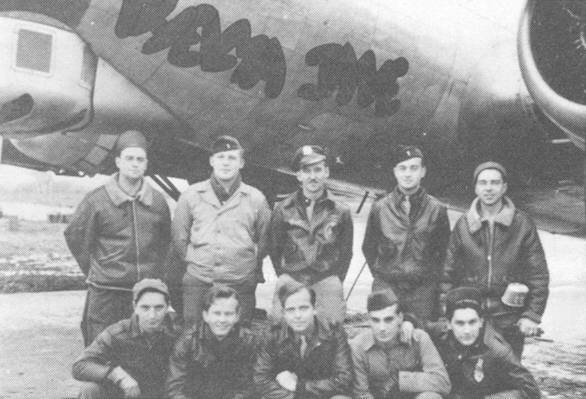 Top row (l-r): unidentified Crew Chief, John Rosequist, Louis Bowen, John Northrup, and unidentified ground crewman. 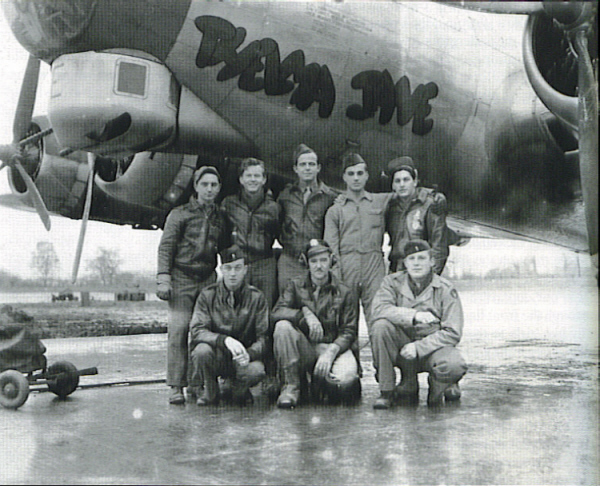 Bottom row (l-r): Louis Tamburro, Arthur Massey, Bill Jones, Jack Borders, and Albert J. Russo. Not pictured: Harold O. Madion. Another photo of the Bowen Crew with Themla Jane.